Enjoy family entertainment, food, fun, hopefully some snow and definitely the spirit of holiday magic at the Bozeman Christmas Stroll, held each December on Main Street, in Montana. 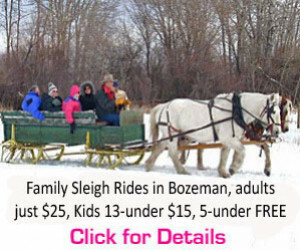 The Bozeman Christmas Stroll is winter fun, food, and shopping for the whole family on Main Street. 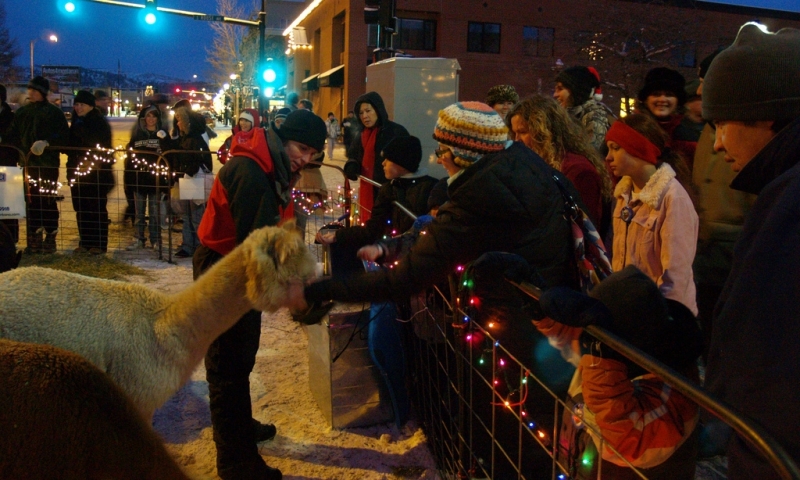 Plan to walk Main Street on the first Saturday in December and enjoy Bozeman’s Christmas Stroll. Overview: Bring the kids and sip eggnog, hot chocolate, or a hot toddy as Santa Claus sings Christmas carols and lights Bozeman’s holiday lights along with 6,000 locals and visitors at the annual Bozeman Christmas Stroll. When: First Saturday in December, from approximately 4 pm to 10 pm. Details: Enjoy horse drawn wagon rides, pictures with Santa Claus, a gingerbread house display, other family entertainment, holiday shopping, and holiday treats like caramel apples, cotton candy, popcorn, cider and so much more! Get some fresh air, throw a few snowballs (snow permitting! ), and do some holiday shopping along Main Street during the Christmas Stroll while enjoying live entertainment at the Emerson Cultural Center and other businesses. 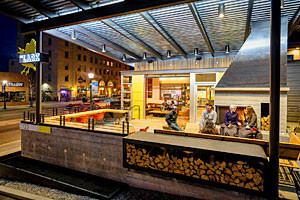 Find more details on the Downtown Bozeman website. Save enough on our rooms to pay for food at the Christmas Stroll. Free breakfast, in-room fridge and microwave, 32" TVs, and guest laundry.